Where to eat and drink in Santorini, Milos and Athens. Chef Matt Padilla's vegetable-focused menu at The Inn at Dos Brisas in Wasington, Texas changes daily, with most of it coming from the property's 42-acre USDA-certified organic farm. Padilla, who previously cooked at The Little Nell in Aspen, Colorado, creates wine-friendly dishes to pair with wines from the restaurant's 7,000-bottle cellar. Being in the restaurant industry you find it hard sometimes to get away on vacation, or vacations become a last minute opportunity when you finally find that window to travel. The latter is how my wife and I found our way to Greece. It wasn’t necessarily my first choice. We ended up booking our flight about two weeks out by luck of Athens being the cheapest route to Europe from Houston. The decision to go turned out to be a great one! My wife Tara and I promised each other that this would be a relaxing vacation. The food was even better than I could have expected. The quality of ingredients, particularly from the sea, was incredible. The cuisine is very simple. It lets ingredients speak for themselves. This island is known for its dramatic views of the caldera and quite possibly one of the most amazing sunsets you’ll ever see. What you’ll find underneath the tourist shops and crowds flocking to see the sunset is great fresh seafood and even greater white wines made from a grape called Assyrtiko. Definitely rent a car and explore the beaches and wineries. A small restaurant in Fira, Aktaion has amazing fish and great views for lunch. 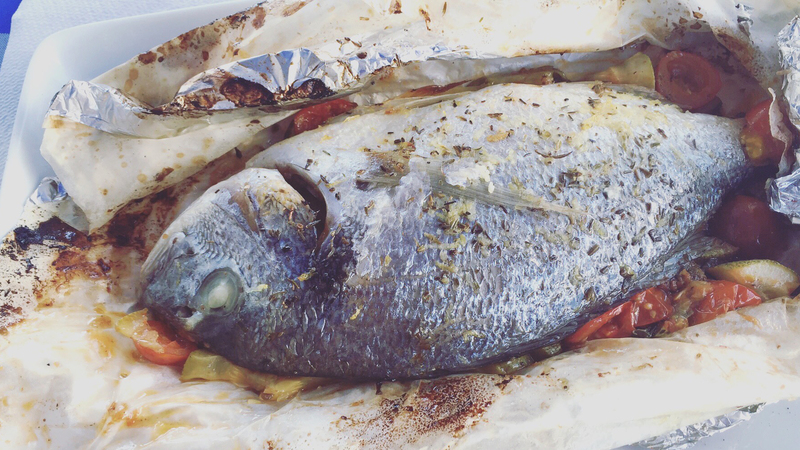 Our favorite was Sea Bream with vegetables cooked, essentially, en papillote. We found it difficult to book reservations last-minute anywhere in Greece, so I definitely recommend planning ahead if you are going during the summer. For a more modern take on Greek food we liked Selene in Pyrgos. 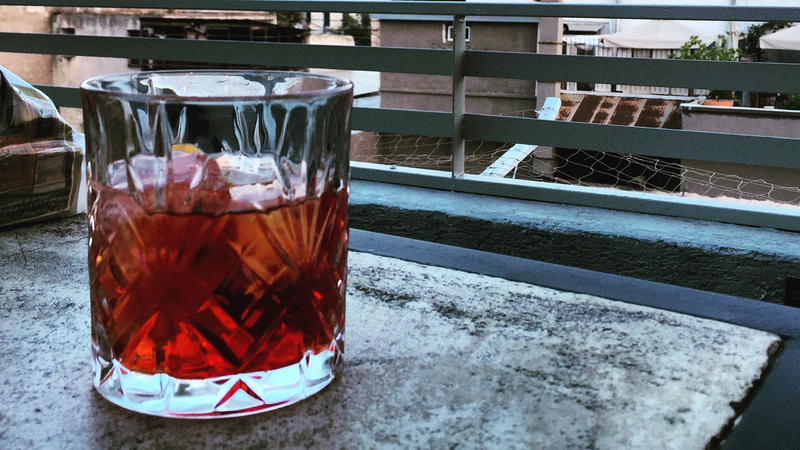 Really great ingredients and a great place to watch the sunset! The “Greek salad tortelli” was one of my favorite dishes of our trip. Perched on top of the caldera, Santo had some of our favorite wines on the island. The view from the tasting room wasn’t too shabby, either! Another favorite of ours was Domaine Sigalas. A little off the beaten path, we followed the signs thinking we took a wrong turn only to find some of the best wines of our trip. I recommend the Kavalieros and Nychteri. Our second and favorite stop was Milos island. We took a ferry a few hours to this less visited gem and were very happy we chose it. We stayed in Pollonia which is not the port city. It was only a fifteen minute drive and away from the hustle and bustle. It comes alive at night with people flocking to its amazing restaurants right on the beach. These restaurants served traditional dishes from the region, all of it very simple but insanely fresh. Be sure to save room for dessert. Around the corner, a short walk from the beach, there is a small bakery tucked in the Pergola Studios. They have everything from local honey and capers for sale as well. 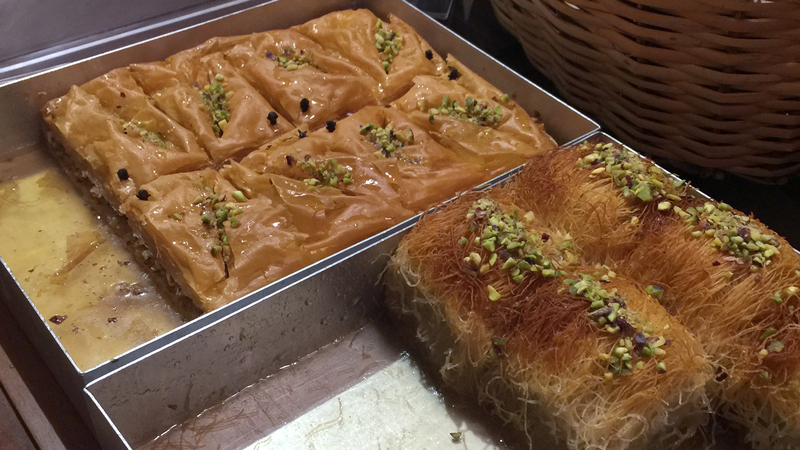 The sokolatopita, a rich chocolate pie, is incredible, as is the baklava. 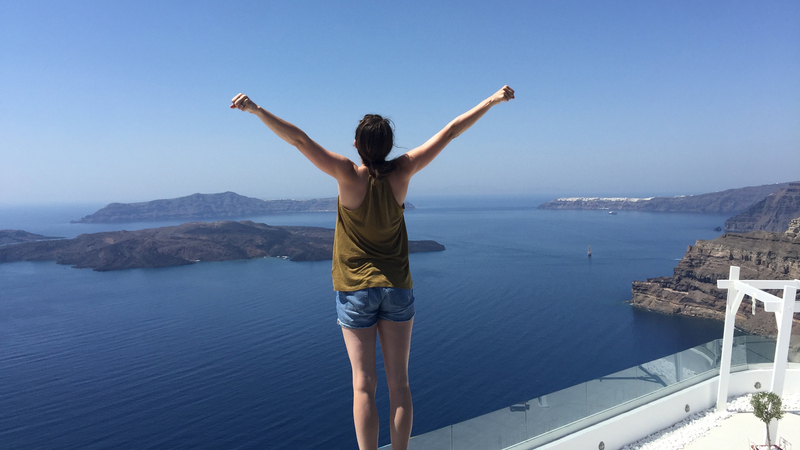 If you only do one thing on Milos, make it a boat tour with Oneiro. Elias, the owner, has been doing tours for a long time and is very knowledgable about the history of the island and Kleftiko Beach. 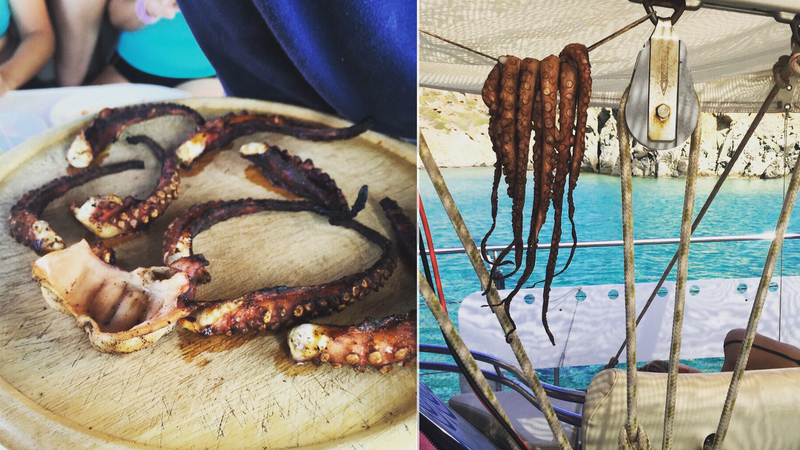 You’ll end up eating grilled octopus, hung out to dry on the sails of the boat, and drinking more ouzo than you should. I’m not big on tours, but this one is pretty awesome. Our last stop was Athens. Beyond all the typical sights we found it to be a really fun city–great rooftop bars, and again, surprisingly underrated food. The rooftop bars are really fun in the afternoon when tons of locals start their night there drinking coffee and cocktails before heading out to bars and clubs. Our favorite was Couleur Locale. Our favorite restaurant in Athens was actually a short ride from the city center in Pireas. 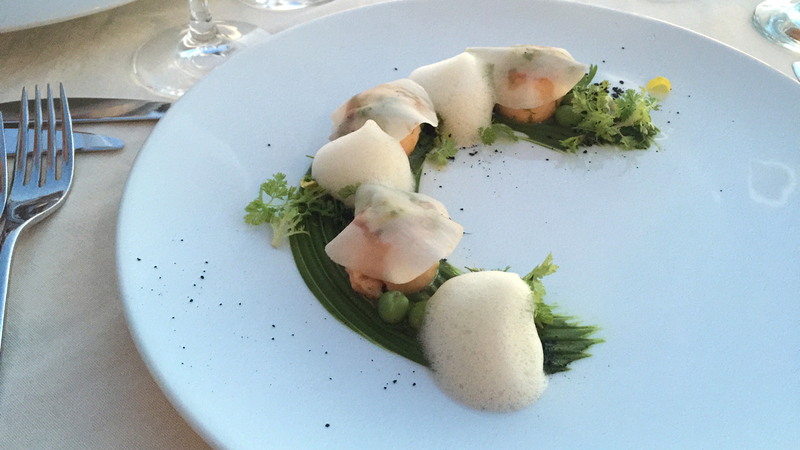 Tucked in the docks, the Michelin-starred Varoulko served our favorite meal in Athens. We opted to allow the chef to cook for us and drank more Assyrtiko! 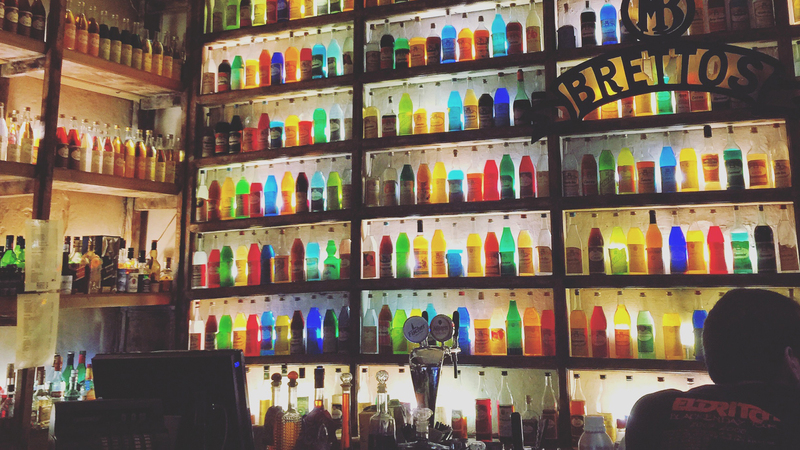 Another really cool bar is Brettos. Known as the oldest bar in Athens, it is a good place to wind down and sip some of their house-made ouzo. 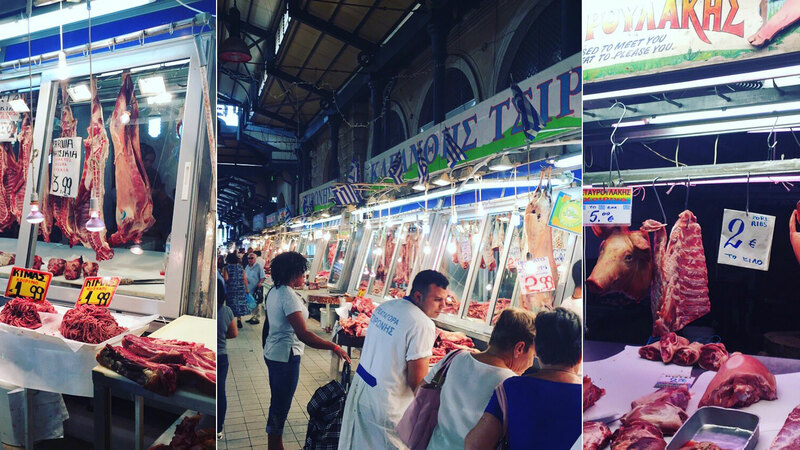 The best off the beaten path sight to see is the fish and meat market, the Varvakios Agora. The fish selection is unbelievable and the meat section is just as interesting with butchers trying to sell you product as you browse between the hanging lightbulbs. There are a few hidden restaurants in the market selling Patsa, a tripe soup that is supposed to cure hangovers. Unless you a very adventurous I’d recommend sticking with some of the other items on the menus!